RAMADA HOTEL HELLO CULIACÁN BY WYNDHAM. RENOVATED CONCEPT FOR YOUR BUSINESS OR PLEASURE TRAVEL. It offers you the best in your stays, guaranteeing your rest and the best meeting and lodging service. 116 renovated rooms and avant-garde suites for your pleasure or business trip. 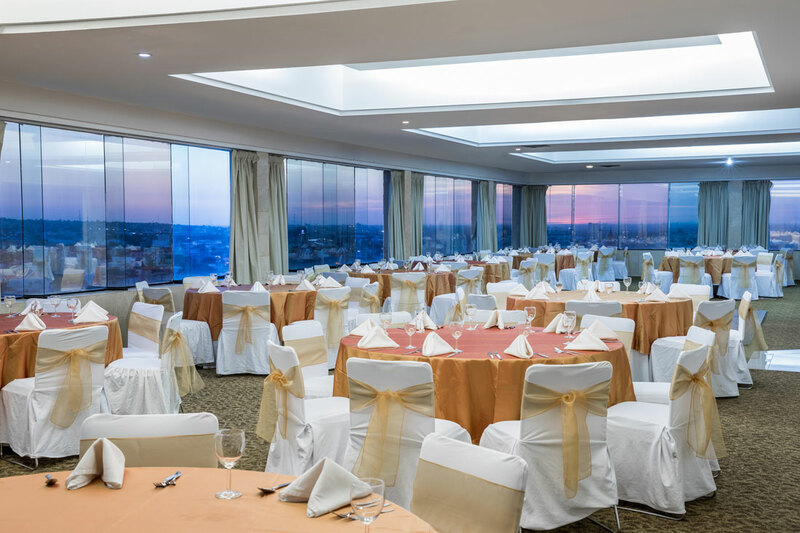 Making your stay a pleasant one Allow us to organize your events in the most beautiful rooms, some of them with the best panoramic view of the city. We offer you the best service and facilities for the organization of your work events and social celebrations. Because we know how important breakfast is, we include a full breakfast buffet. Wide spaces and modern service areas to complement your stay. • Gym on 5th floor overlooking the city, service from 06:00 to 23:00 hrs. • Fully roofed courtesy parking with capacity for 100 cars. • First floor ice vending machine. • Computers with internet access and printing. • Restaurant «Los Girasoles« with capacity up to 100 people from Monday to Sunday, buffet breakfast every day from 07:00 to 12:00 hrs. • Lobby bar «Los Grillos« cozy corner with national and international drinks bar open from 18:00 to 23:00 hrs. • Room service 7 days a week. • High speed wireless Internet in all areas.